ISU-Bright Agency is a family owned and operated, local business in operation since 1994. We specialize in homeowner’s insurance, auto policies, health and life insurance, and commercial insurance. We’re your friends and neighbors, and we’re ready to build long-term relationships so we can serve your needs best. Our friendly and professional staff offer the best in low-cost, world-class insurance products designed to help you protect your family and your belongings. 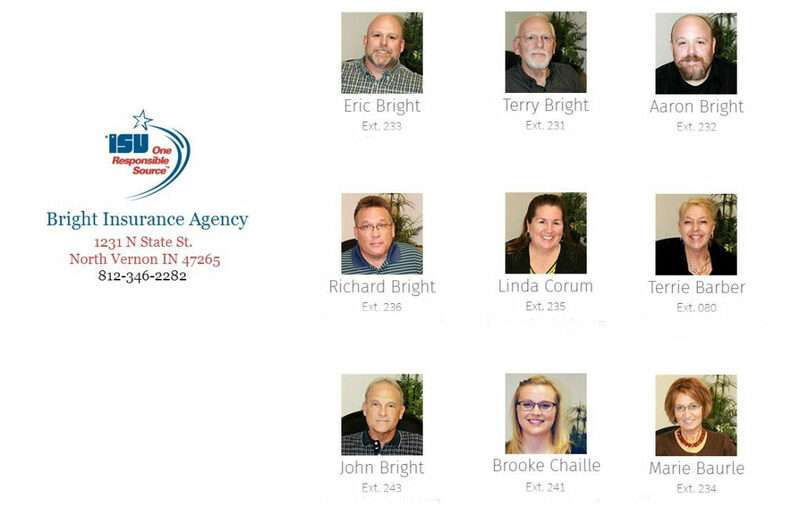 As an independent insurance agency, ISU-Bright Agency has the freedom to shop around for you. Whether you need a stand-alone policy or multi-policy coverage, we’re here to help by finding the best policies at the best companies for optimal protection at competitive pricing. Our licensed professionals are here to help. We specialize in homeowner’s insurance, auto insurance, farm insurance, Medicare Supplement plans, life insurance, and commercial insurance. Our professionals are licensed, and available any time you need us to answer your questions. We will be happy to provide you with a quote for all your insurance needs. ISU-Bright Agency has been part of the community for more than two decades. Our mission is to provide our neighbors with a broad range of insurance products that meet their varied needs. We provide prompt, accurate, and professional advice at fair and competitive prices – our top quality services are delivered by licensed insurance professionals who will review your coverage, identify your risks, and offer the best policies available to meet your needs. As your insurance agency, it’s good business for us to be actively involved in industry trends, changes, and issues. ISU-Bright Agency continuously trains and maintains a superior industry knowledge about the changes to laws and changes in industry trends that might affect your coverage and your costs. We understand that insurance in an investment, and we go to great lengths to ensure your investment in your assets and your personal health and well-being are protected. We work with you to find the most comprehensive coverage available at the most competitive prices.